There are few words that can convey our feelings on this day. Oh, the thousands of innocent people who lost their lives. Oh, the loss of security that we felt as a nation. 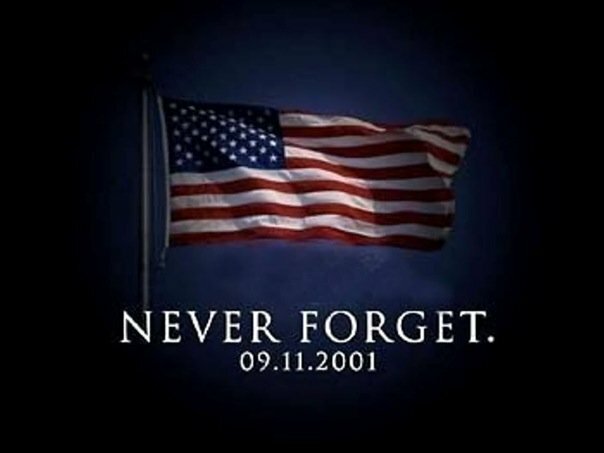 I remember all too well, working at the airport in Denver on that day. Watching the sky fill with planes preparing to land. Planes that had never stopped at our airport before. lined up trying to get on the ground. Almost was like watching a flock of birds migrate. The confused and shaken passengers, deplaning in a strange city. The look of fear on the crews faces. Yes, it's a day that's seared in my memory forever. We were all the lucky ones. Shaken, but here to remember. We always will remember you. It was a horrible day and I will never forget either.